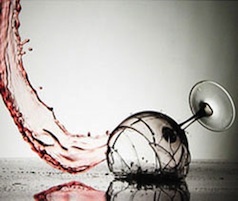 In Part 1 of this article, we began examining the risk of being perceived as having a drinking problem you don’t in a Michigan DUI charge. In this second part, we’ll continue that inquiry with a closer look at how a 1st offense DWI can lead to a general perception that the person arrested must have some kind of problem with alcohol. As a Detroit DUI lawyer, I am well aware of, and on guard against this all too common by-product of a 1st offense drunk driving arrest. Just being a Michigan DWI attorney isn’t enough, however, and that’s why I am formally involved in the University, graduate level study of alcohol and addiction issues, including how these problems, develop, how they are clinically diagnosed, and the various methodologies of treatment. This means I can protect you from being seen by the court system as having a drinking problem and defend you from any such lingering suspicion because I can argue like (and even with) a clinician; I speak their language, and I speak the language of the Judge, as well. If there’s a flaw in the way Michigan courts process DUI cases, it’s that too many people in the process “play” clinician, and none of them are. From arresting cop to Judge to probation officer, everyone has an opinion. The problem is that some of those opinions, particularly that of the probation officer or the Judge, matter. This is where my specialized knowledge can help your case. When you step back and look at this part of the DUI process, what you really have is a probation officer playing substance abuse counselor. The probation officer has to give you what amounts to an “over the counter” alcohol-screening test, and then score that test. That’s the whole of the process by which you are found to have or be at risk for a drinking problem. The probation officer is also tasked with interviewing the person, and then taking all that information and putting it together into a legally required written sentencing recommendation that must be sent to the Judge prior to the actual sentencing date. The law also requires that a copy of that recommendation be reviewed by the person being sentenced, with his or her lawyer, before the judge actually imposes the sentence, thereby giving the person the opportunity to object to anything that needs correcting, and to comment as to the probation officer’s recommendation. This is huge. In fact, this is, without a doubt, the most important part of a DUI case. We’re talking about what the Judge is going to do to you. When someone looks around for information about a DUI, it’s not because they want to know in case something ever happens down the road. People want to know, as in immediately, “what is going to happen to me?” Well, this is it. In the real world, meaning the world where you’re actually going to be standing in front of the Judge, what is going to happen to you is pretty much exactly what is recommended by the probation officer. Every Judge in every court, or at least every Detroit area court, follows the probation officer’s recommendation as if it were a blueprint for what to do. There is simply no case where the Judge will disregard his or her probation department’s recommendation on a wholesale basis. This is, after all, part of the probation officer’s job. From the court’s point of view, the probation officer is in the best position to decide what kind of counseling, education, punishment and/or supervision a person should get for a DUI. This is certainly the most practical way to handle things, but it runs roughshod over the clinical reality that the probation officer has no more specific training in determining your substance abuse needs as your hair stylist (no offense to hair stylists). But I do. I work with the diagnostic criteria for alcohol issues every single day, pretty much all day as part of my driver’s license restoration practice. I can analyze and discuss concepts of the etiology, diagnosis and treatment of alcohol problems that most probation officers don’t even know exist. This means that I can protect you from being seen as having a drinking problem that you don’t have. To be clear, making sure that doesn’t happen begins when I first meet with a client. My first meeting with someone facing a DUI takes about 2 hours, and much of that time is spent at least beginning to prepare for taking (and doing especially well on) the alcohol screening test you’ll likely be seeing down the road, when you meet the probation officer. No matter what, you can avoid being seen as potentially having any kind of issue with alcohol if your test results show you don’t have one. It is far better for your test results to clearly indicate that there is no evidence of a drinking problem than it is to try and argue that a result that indicating the presence of a problem is just “wrong.” Yet if your lawyer isn’t specifically educated in the alcohol and addiction counseling field, that’s all he or she can do. Not me, however. I can argue legitimate indications of an alcohol problem, theories of addiction and models of recovery. I can point to the specific diagnostic criteria used to determine if a person has a problem, or not, and make sure that you don’t get lumped into some kind of class or counseling program “just because” you have been charge with a DUI. This is the point where things in the real world can really go astray. Even though a person can test out as clearly not having a problem, far too many people, including probation officers, think that just having a DUI is evidence of a problem. The favorite catchall phrase seen in so many probation sentencing recommendations, despite the fact that a person has not tested out as having either an alcohol problem, or the even the mere potential for one to develop, is something like, “due to the serious nature of the offense, a course of alcohol education or counseling seems appropriate.” That may sound authoritative, but it is entirely meaningless in clinical terms. The “seriousness of the offense,” or anything like it, has precisely zero application to assessing a potential alcohol problem. This reminds me of something a computer guy once taught me about talking to website designers and experts. He told me one of the easiest ways to find out if someone was really competent, or just another slickster out to make a buck was to ask if they had extensive experience working with a made up term like the “google retention algorithm.” If the person answers yes, then you know they are out of their field, because there is no such thing. The same thing goes for a probation officer using a phrase like “the serious nature of the offense” as a reason why a person may need some kind of alcohol counseling or education. It sounds good, but such a consideration doesn’t even exist, clinically speaking. But if you’re lawyer doesn’t know that, and know how to argue back, you’re very likely going to wind up in some class or counseling program that you have to pay for. As a Michigan DWI attorney, I stand rather alone in the ability to defend against and disprove these “findings.” I can respond to the Judge with the appropriate clinical analysis. I can explain to the Judge what the clinical standards are for marking out an alcohol problem, or the risk that an alcohol problem will develop, and then demonstrate how my client does not meet those standards. I do this all the time. I’ve won this issue before even the most reluctant of Judges. In theory, and in books, you shouldn’t have to worry about any perception, in a 1st offense DUI case, that you have a drinking problem. The way it’s supposed to work is that you eventually get screened, and a proper conclusion is reached about your relationship to alcohol. In the real world, we not only see that it doesn’t happen that way, but that the way the whole system is set up, there’s no way to even get a clinically sound or proper assessment and diagnosis of your drinking habits. At least with me on your side, you are protected from that.